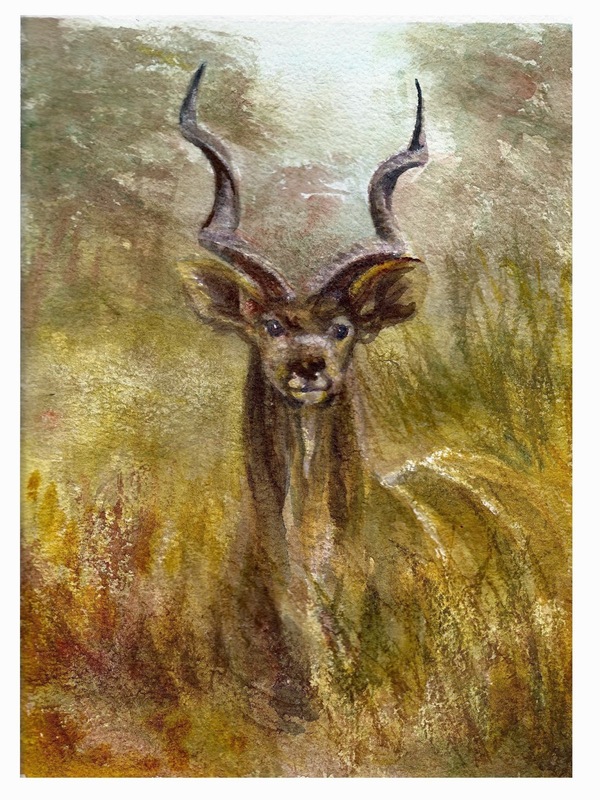 I’m taking another watercolor class from Kathy Delumpa Allegri this month and the theme this time around is Africa. I decided to try a Kudu. I was trying a different kind of watercolor paper, St-Armand, a handmade paper. The sizing on the paper is supposed to resist water, so I was surprised at how much it did absorb. Possibly, I was using the wrong side. I have more so I’ll see how it goes. The Kudu needs a redo, so I’ll probably try it again on a different paper.